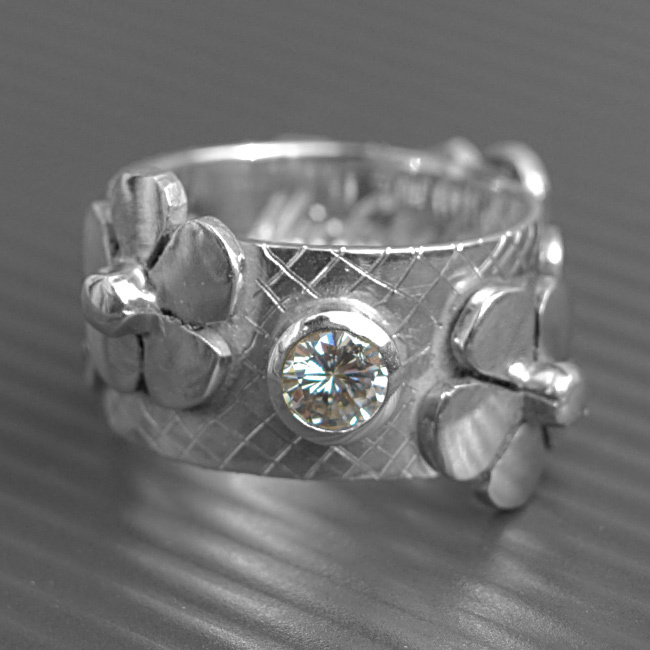 Beautifully handmade sterling silver ring. 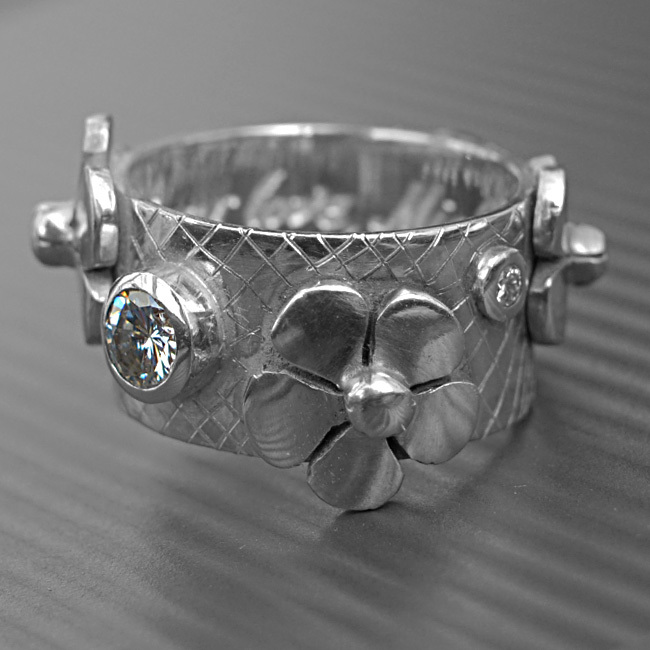 Each flower has being cut individually to make this ring unique each time it is lovingly made. Commission piece using three Diamonds. 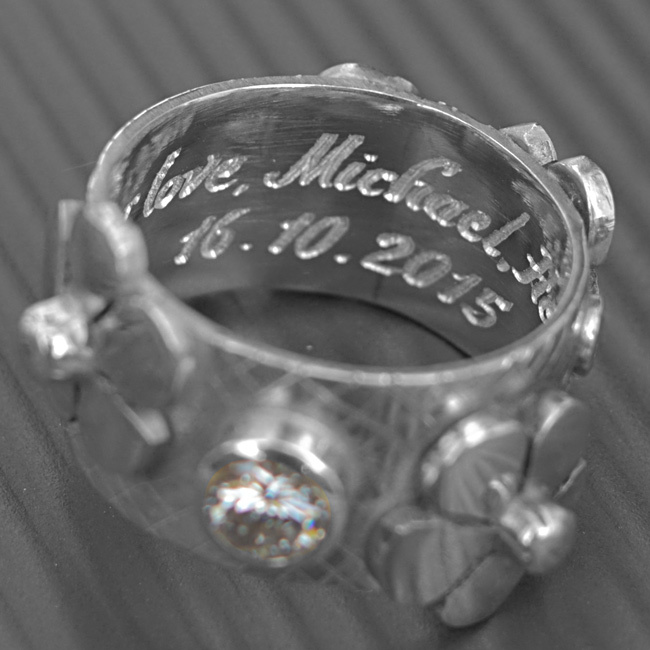 Fantastic wedding ring. Diamond is the › birthstone for April. SKU: N/A. Availability: In stock Size: N/A Categories: All Jewellery, Rings, Ring, For Woman, Engagement, Wedding, Wedding Jewellery, Wedding Rings, Engagement Rings. Tags: fashion, Men, Short Jean, veston, woman clothes.